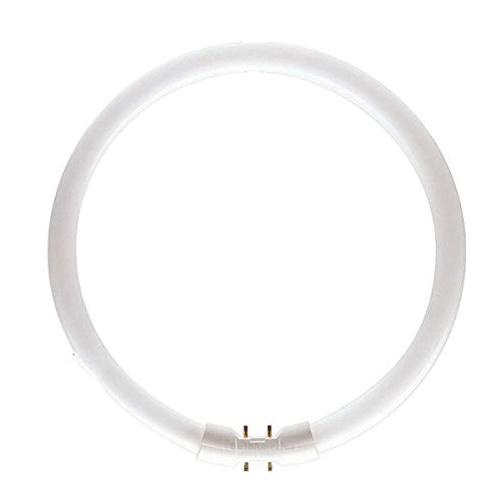 Philips Lighting Ultra slim 55-Watt T5 circular fluorescent lamp offers 4200 initial Lumens for crisp light output. 2GX13 Base lamp with programmed type ballast, has voltage rating of 101-Volts and has current rating of 0.55-Amp. It has color rendering index of 85. Lamp with 4100K color temperature rating radiates cool white light to the surrounding. The circline lamp in opaque finish, has average life of 8000 hours. It comes with efficacy of 76 LPW. Lamp is ideal for ideal for offices and commercial establishments.